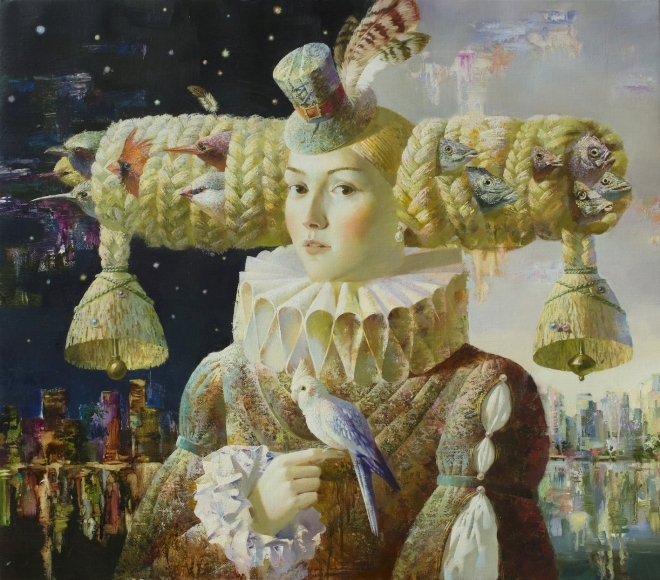 Anna Berezovskaya was born in the town of Yakhroma of Moscow region. 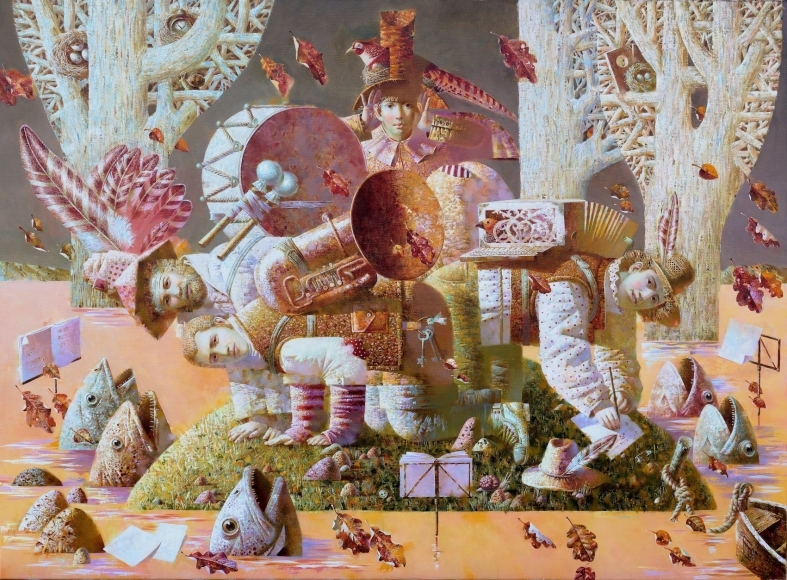 She began her art study in the Private Art Studio in 2000 and became a student of Abramtsevsky Art and Industrial College in 2001. 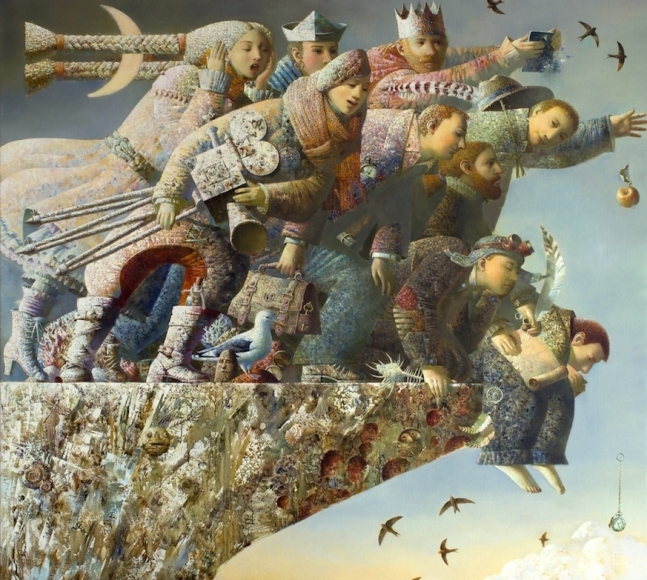 Since 2005 she has been a member of association of a creative profession of Russian artists. has imbued in each one. 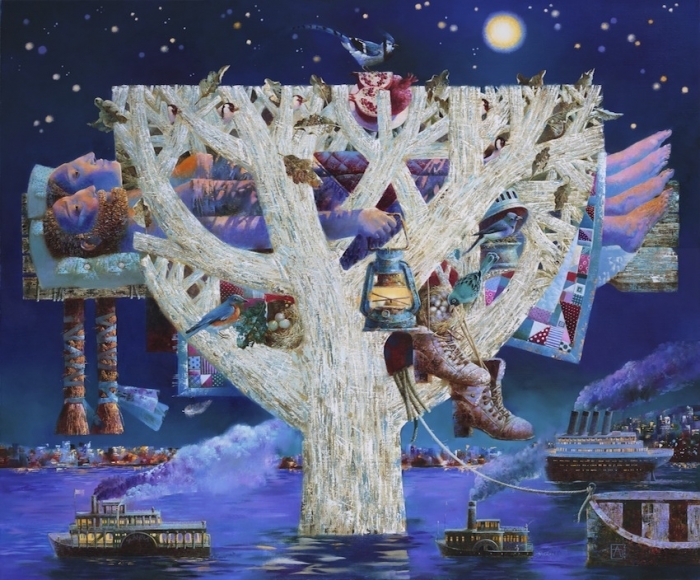 She uses symbolism to create timeless works on canvas and paper, carefully selecting subjects that transcend time and space to convey herideas and emotions. 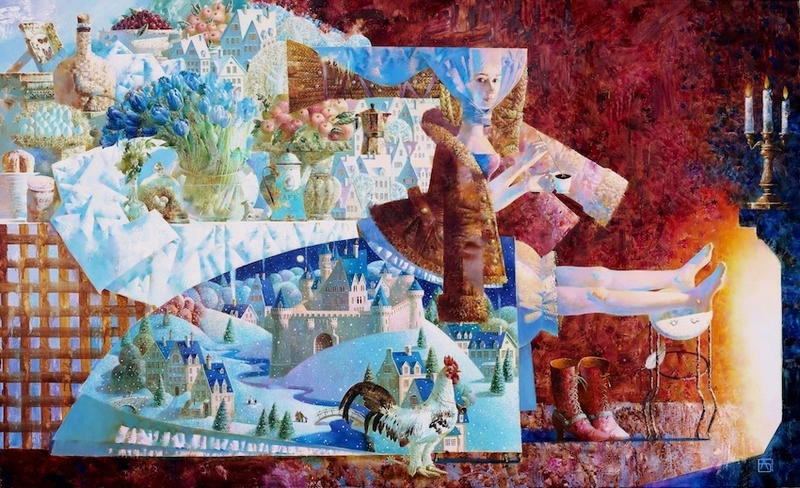 In doing so, she is inspired by Russian culture and literature. For example, locks and keys feature prominently in her works, representing mysteries to be unlocked and discoveries to be made. The recurrence of safety pins in her work hark back to an old Russian superstition which claims that wearing an old safety pin will ward off evil. Snails also feature prominently as the spiral on the shell of a snail is a symbol of life. 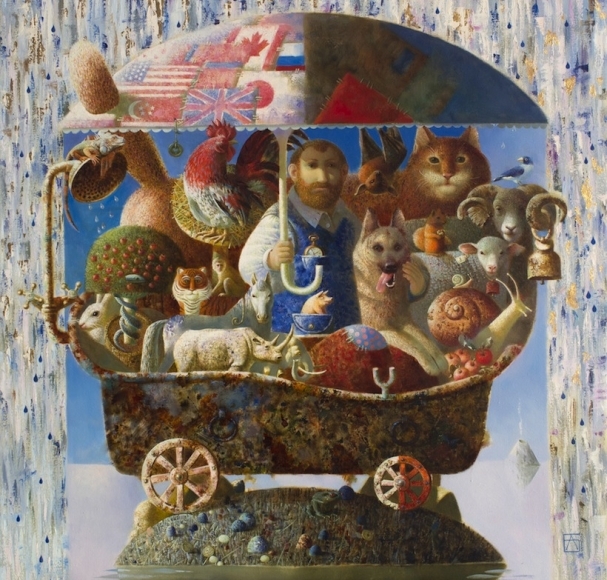 Bringing these symbols together, Berezovskaya depicts a world of her own, full of its own meaning and stories. 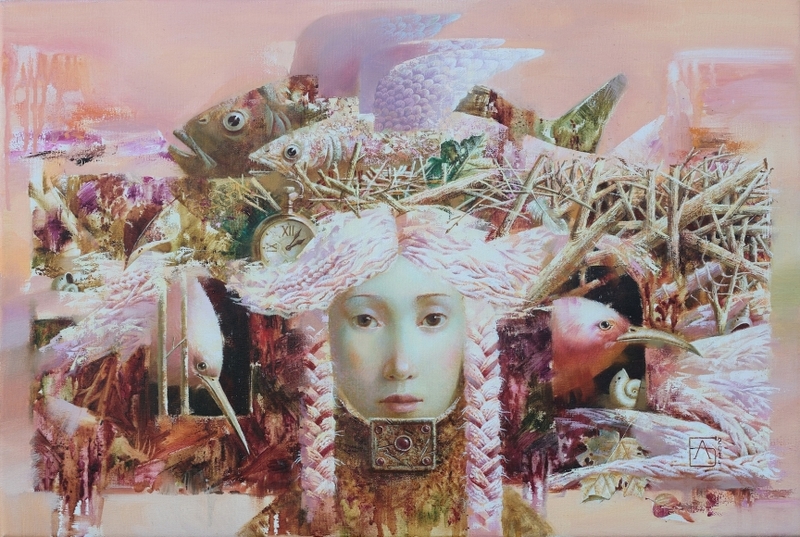 When I first saw Anna Berezovskaya 's works at an exhibition , I immediately feel in love with them . I remember doing my very best to take a good picture of it. I love her control of oil and canvas and how her works have a very peaceful and smooth feel to it . 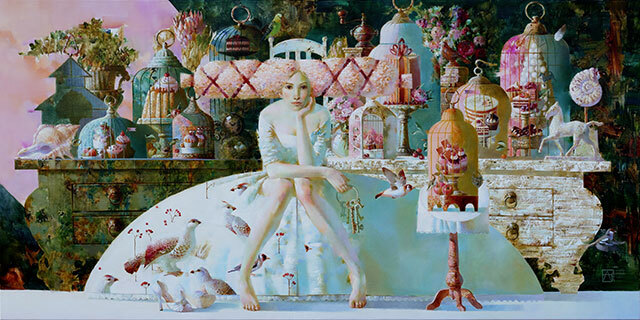 What i like best is the fact that there is a story behind every piece of her works. I love how she weaves the story into her works with rather absurd visuals.